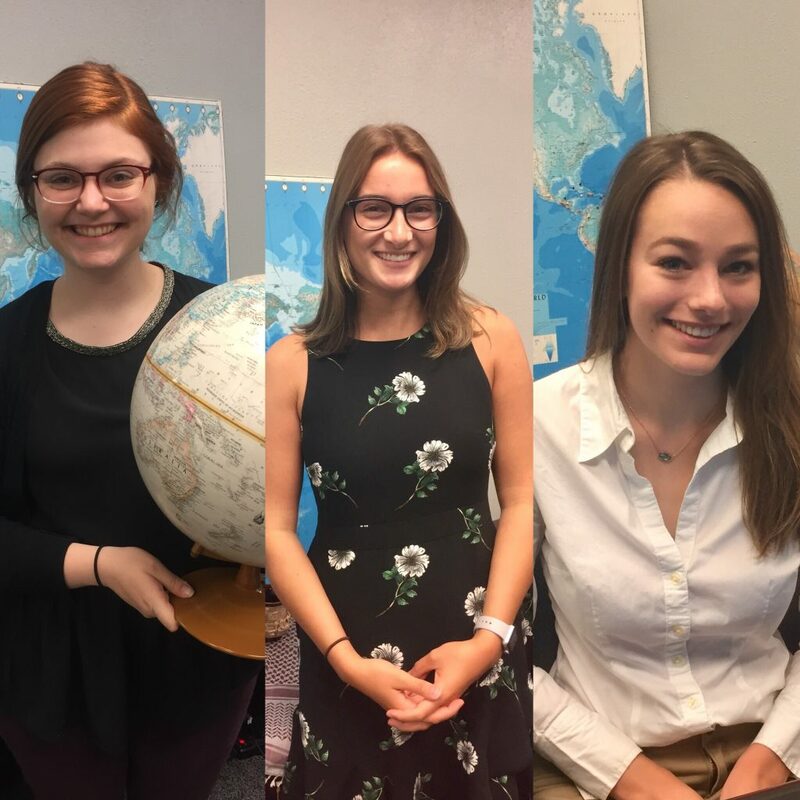 Iowa International Center interns have the opportunity to work with the oldest international non-profit organization in Des Moines and build real-world skills in a fun, fast-paced work environment. We welcome applications from university-level students in all majors. For those still enrolled in an undergraduate program, college credit may be available. We are seeking qualified Fall 2018 and Spring 2019 applicants for all internship positions. Look below to find the internship that best fits your career aspirations! College student requiring college internship credit or experience. Excellent verbal and written communication skills including strong interpersonal skills. Ability to be self-directed and work independently or as part of a team. Ability to handle multiple tasks, set deadlines, and maintain accurate records. Computer experience in Microsoft Office software, specifically word processing and database software. Cross cultural living experience and/or knowledge of a foreign language preferred but not required. Dive into the Iowa International Center’s interpretation and translation services with our International Language Programs internship! We have 120 interpreters and translators fluent in over 60 languages and dialects, and we need YOU to help maximize the reach of these services. Connect interpreters and document translators to limited English proficient (LEP) Iowans to ensure that they receive essential care, training and services at medical clinics, government agencies, schools, non-profit organizations, and other businesses. If you are intrigued by the opportunity to gain “first-hand” knowledge of how this type of business is run and how internationally/inter-culturally-focused non-profit organizations operate in a city like Des Moines, this is for you. Students pursing degrees in business, marketing, management, information technology, international relations, political science, foreign language and/or finance would excel in this position. Interns will also work closely with Iowa’s immigrant and refugee communities. Gain experience in a fun work environment and apply today! Are you hungry for the opportunity to completely take charge of an organization’s communications—from social media to marketing materials to event promotion? Delve into the professional marketing world with the Iowa International Center and spearhead projects that will bring name recognition to the organization and increase our community presence. We’re looking for a creative individual able to think strategically to meet our communications goals. Apply today to jump fully into the professional communications world with our nonprofit! Discover your passion for witnessing the merging of cultures by working with the Iowa International Center and multiple federal departments to connect international and local professionals. Our International Visitor Programs attracts mid-career specialists and future leaders from around the world to central Iowa to explore U.S. and Iowa culture, industries and procedures. You will be right at the heart of orchestrating these events, from researching and contacting organizations, planning cultural activities, drafting proposals, developing summaries of local resources, and so much more. Every activity the visitors do will have your fingerprints on it, from dinners with local volunteers to activities exploring the Des Moines area to fun free-time excursions. Gain experience in the world of nonprofits while teaming up with international organizations and individuals. Immerse yourself in all functions and services at the Iowa International Center. From database management to event planning to researching potential opportunities for international visitors, this internship will equip you with real-world office experience and international know-how. Because you will be working at all levels of our operation, you will engage with a wide variety of programs and people through the Iowa International Center: such as our International Visitors Programs, ESL classes, community events, and much more. Master the nonprofit environment and expand your international connections through this one-of-a-kind internship! Showcase your unique skillset and aesthetic style by taking charge of the visual components of the Iowa International Center! See your work on our print, digital, web, video and various communications pieces. You will work hands-on to create logos, collateral event materials and a variety of other creative products. This one-of-a-kind opportunity will enable you to promote your personal brand while also gaining real-world professional experience working for a nonprofit.